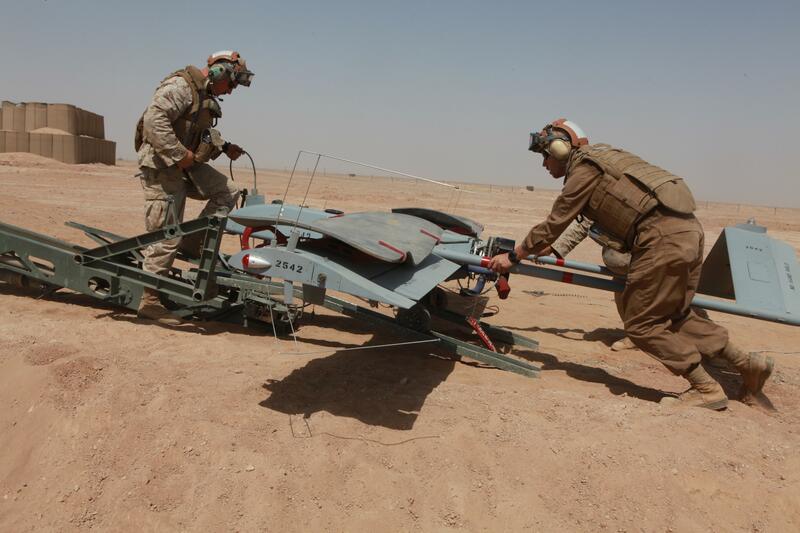 The Shadow is arguably the most successful light UAV for ground commanders. Even if only a few hundred models are in use today, the RQ-7B Shadow’s operational history is unrivalled. Its origins date to US Army requirements during the 1990s. The Shadow arrived in time for the Iraq War (2003-2011) and was soon adopted by the US Marine Corps in 2007. Deployed from a mobile launcher, the Shadow gives brigade and battalion leaders a bird’s eye view of the battlefield. Primarily an intelligence and surveillance system, the Shadow performs modestly compared to its larger MALE siblings. The Shadow is now indispensable for the USMC and the US Army, who employ it to guard perimeters and observe outlying terrain. The Shadow isn’t an armed drone. It can, however, track targets and transmit coordinates. Its proportions are designed for rapid air transport via C-130, being 11 feet long with a 14 ft foldable wingspan. Having an appearance typical of small reconnaissance drones, the Shadow is recognizable for its triangular tail boom. An RQ-7B Shadow being prepped for take off. Numerous profiles of the Shadow mention it’s ability to “see” targets 125 kilometers away. Once deployed, the Shadow remains airborne for six hours, with a flight ceiling of 15,000 ft. But it usually operates in lower altitudes, i.e. below 8,000 ft. Its 38 horsepower Wankel rotary piston engine allows it a maximum speed of 202 km/h, although its unspecified cruising speed is much, much slower. Interestingly, its fuel cells are located in a fire proof enclosure on either wing. 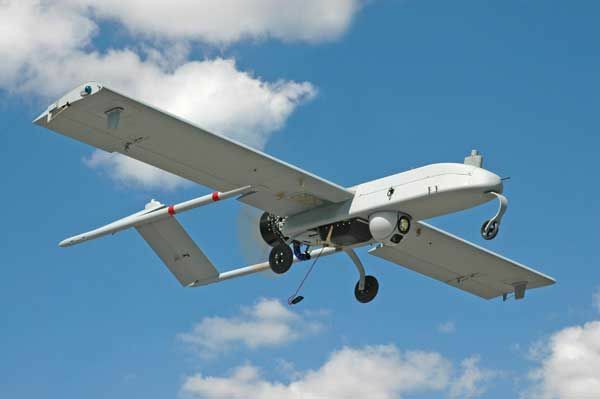 There are currently two versions of the Shadow: The original RQ-7B and the newer Shadow M2. The latter features a weather-resistant fuselage, a bigger engine, and a pair of aerodynamic upswept wings. Both variants carry electro-optic and infrared sensors as well as laser designators. But the Shadow M2 supports two wing mounts for additional payloads. In recent years, the armies of Sweden and Australia have acquired the original Shadow 200 in small numbers.